Doctor Who on the Big Screen! BBC Worldwide North America and Fathom Events announce the return of the longest running sci-fi television series, Doctor Who, to the big screen for a two-night special theatrical event, Doctor Who: Dark Water/Death in Heaven in spectacular 3D, starring Peter Capaldi. Doctor Who: Dark Water/Death in Heaven, the show’s two-part eighth season finale, will be presented in RealD™ 3D and Dolby Atmos sound (where available) on September 15 and 16 at 7:30 p.m. (local time). The event will feature The Doctor’s Meditation – a special prequel scene to the first episode of season nine – and an exclusive interview with Doctor Who stars Peter Capaldi and Jenna Coleman, hosted by Wil Wheaton (Big Bang Theory, Star Trek: Nemesis), in addition to the two-part season eight finale. Tickets for Doctor Who: Dark Water/Death in Heaven in 3D can be purchased online beginning Friday, July 31 by visitingwww.FathomEvents.com, or participating theater box offices. Fans throughout the U.S. will be able to enjoy the event in approximately 700 movie theaters through Fathom’s Digital Broadcast Network. For a complete list of theater locations visit the Fathom Events website(theaters and participants are subject to change). “After the enormous success of the 50th Anniversary and season eight premiere – both number one alternative cinema events, two years in a row – we decided to bring the Doctor back to the big screen in 3D so Whovians across the country can have a full immersive experience of Peter Capaldi as the Doctor. The season eight finale, along with an exclusive interview with Peter and Jenna is the perfect way to get fans ready for the upcoming premiere of new season on BBC AMERICA,” said Soumya Sriraman, EVP Film, Home Entertainment, and Licensing for BBC Worldwide North America. In this epic two-part finale, the Doctor comes face-to-face with the mysterious Missy, and an impossible choice looms. With Cybermen on the streets of London, old friends unite against old enemies, and the Doctor takes to the air in a startling new role. 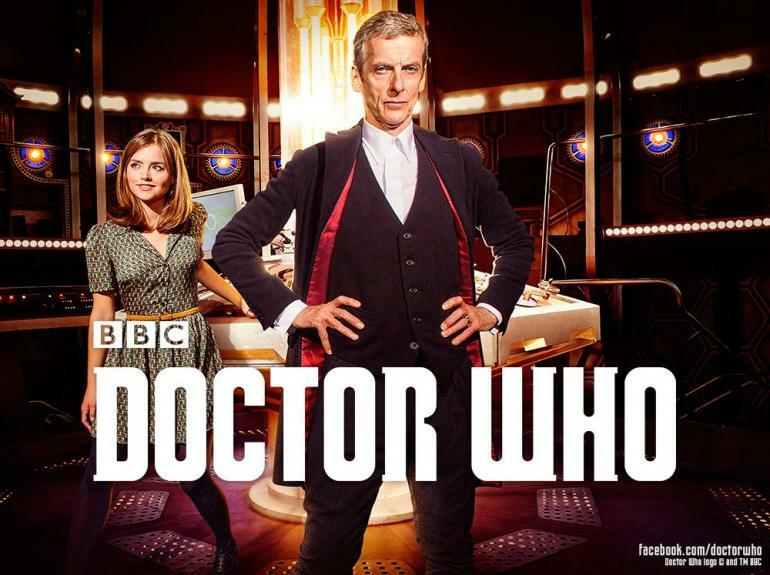 The new season of Doctor Who premieres Saturday, September 19 on BBC AMERICA. Are you as excited as I am for Doctor Who season 9? If you haven’t seen the trailer yet, be sure to check it out below! Will you be going to see Doctor Who on the big screen? What do you think of the new season? Let me know your Whovian thoughts in the comments!